An Islay Bed and Breakfast has become Scotland’s first ever two star gold accommodation following a grading from VisitScotland. 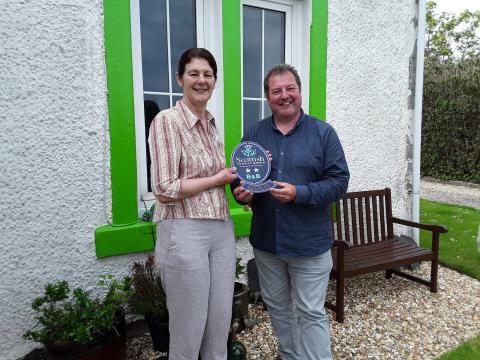 Anchorage B&B, situated on the shores of Lochindaal in the village of Bruichladdich, received the award from the national tourism organisation’s Quality Assurance (QA) Scheme in recognition of their outstanding customer service. The Gold Star Award highlights establishments within the QA Scheme that strive to exceed customer expectations on an on-going basis, whilst taking an innovative and proactive approach to customer care. The accommodation is an early nineteenth century stone built house and has been lived in by owner Anne Tait since she was two-years-old. Despite moving away to study nursing, Anchorage was always her home and she moved back to open it as a B&B in 1990. Customer service has always been a top priority for Anne and she always goes the extra mile to ensure her guests have the best stay possible. This is evidenced by the large number of repeat visitors she welcomes back, some of whom have become close friends to her. Having spent most of her life on Islay, Anne loves to share her valuable insights on what to see and do on the island with her guests. It therefore made perfect sense for Anchorage to join an impressive network of VisitScotland Information Partners, committed to providing local information to visitors. This official accreditation adds value to her service and helps her support the local community by promoting other businesses across the island. As well as VIP, the B&B also has Taste Our Best accreditation, due to Anne’s use of good quality locally sourced food, and is a member of VisitScotland’s Ancestral and Pets Welcome Schemes. David Adams McGilp, VisitScotland Regional Director, said: “Congratulations to Anne on her achievement. To receive gold accreditation a business must go above and beyond to look after their guests so this award is a testament to the exceptional standards of customer service visitors can expect at Anchorage B&B. 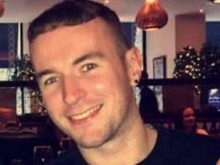 VisitScotland’s QA Schemes can open the door to new customers. It is a powerful marketing tool and works well with online review sites in using an independent perspective to measure visitor experience against tried and tested criteria, so visitors know exactly what to expect. Launched in September 2013, Taste Our Best is a joint initiative between the national tourism organisation and the Scottish Government. Assessors rate the overall eating experience, the extent to which Scottish produce (at least 40%) is used and promoted, and staff knowledge of the produce on the menu and its provenance. The VisitScotland Information Partner programme is open to all Quality Assured businesses, as well as community groups, local authority-operated library services and social enterprises. VisitScotland provides the partner sites with official signage and collateral, promotional material and information resources to make sure visitors receive first-class information about the local region and about Scotland as a whole. Aberdeenshire self-catering property achieves VisitScotland’s premier Quality Assurance award.